I love reading others mock drafts. I think it's a great way to learn about prospects. I wanted to put together a mock draft of the minimum scenario that would make me really optimistic as a Jets for the 2019 season a beyond. This is not necessarily what I want to happen but the minimum I hope happens. With that said, here goes. Spencer Long C: This is tough decision because we really don't have depth. But I would cut him in the next couple of days before part of his contract becomes guaranteed. Isaiah Crowell RB: More on this in a bit. But I would cut him once we sign Le'Veon Bell. Robby Anderson WR: I would put a second round tender on him. While a 1st round tender is fine, I think this draft is deep enough that I wouldn't be concerned losing him for a 2nd round pick. Andre Roberts WR/PR: He did a great job as a PR. We've struggled to find some since maybe Leon Washington. So, we keep the guy that did his thing. Eric Tomlinson TE: Might be a big controversial. But I would bring him back for his blocking and special teams contribution. Davis Webb QB: I think he can develop into a solid backup QB. Jason Myers K: At times, he was the Jets best player last year. Sign this guy. Other resigning: Near Sterling TE (I thought he showed promise in the Spring), Deontay Burnett WR (Developmental WR), Jonotthan Harrison C (solid backup), Frankie Luvu LB, Neville Hewitt LB, Brandon Copeland DE, Darryl Roberts CB. Free Agency: If I am the Jets, I am not going to be cheap this offseason. I am going to go hard after Bell and at a minimum sure up the OL and DL. This again is the base case for me. If we can come out of free agency with Bell while solidifying the OL and DL units, I would be happy. I am not going to get on Macc if he over pays. We need to over pay at this point in our franchise. Le’Veon Bell RB ($16M per year, 4 year deal): I would be greatly disappointed if we don't sign Bell. That's why I would go hard after him ASAP which will set the tone for the rest of the offseason. I have us locking him up on day 2 of free agency which allows us to cut Crowell. Trey Flowers Edge ($16M per year, 5 year deal): I think he has played his way out of New England and the difference between what he can get on the open market and what NE can pay is just too great. The Jets back up the Bricks truck and land a young edge rusher. I would be ok with Brandon Graham but not as much despite not needing to pay him as much. Robert Quinn Edge ($10M per year, 3 year deal): I believe he will get cut. And I am hoping his connection with Gase and Gregg Williams makes us a viable destination. We also pay him well. So that will help get him here. Matt Paradis C ($11M per year, 4 year deal): We once again outspend other teams to sure up the OL. Again, I am hoping his connection to Gase makes us a viable destination. Andy Levitre G (1 year $7M deal): Our big spending is over and we focus 1 year deals. Levitre is a good stop gap player. He'll bring leadership and be a bridge to someone. This OL is so bad that we don't even have that someone on the team. Sigh. EJ Gaines CB (1 year $4M deal): I would love one of the better slot corners. But as long as Macc addresses the OL and Edge positions, I won't kill for him getting stop gap at corner. If EJ Gaines can actually stay healthy, I think he can be a solid player. So I would take a chance on him. Plus he has experience in Gregg's system. That's it. While I would want more. If we can come out of free agency with those 4 big contracts and 2 stop gaps, I'll be excited. There are three guys I am ok with the Jets taking at #3 Bosa Edge, Allen Edge, and Williams DT. Unless Bosa is there, if I am the Jets I would trade back. I also wouldn't need a great haul to move back. 3 mid round picks will suffice. I obviously would want a haul. Jets send: 1st round pick 3 ; Denver sends: pick 10, 2nd round pick (2019), 3rd round pick (2019), and 2nd round pick (2020). This is similar to what the Jets gave up. But Denver is moving from 10 as opposed to 6. That difference is due to last year's QB class being more in demand. 1 (10): DK Metcalf WR: I think this guy is a true number 1 WR. I've seen him mostly mocked in the late teens. The earliest I've seen him is 9th to the Bills. 2nd Round Pick (From Denver): Deebo Samuel WR: I really like this WR group and think we should double dip. I would want Hollywood Brown but I think he will be gone. 3rd Round Pick: Chris Lindstrom OG: There's a handful of iOL I like. I think our early 3rd is a good spot to get one. Lindstrom comes in and provides quality depth and is the eventual replacement for Levitre. I'm not going to add our 5th round and 7th round picks to do the depth chart. So, I won't mock anyone there. Picks that late or too much of a shot in the dark. It's going to be hard for the Jets to address all their needs. In this scenario, I have the Jets addressing the OL in the short-term (LT still needs to be addressed in the long-term) and DL in the short and long-term (although iDL may become a need depending on how Leo plays). And Darnold has a nice arsenal of weapon to throw to.. We are 4 deep at WR, have a strong all around RB, and have a strong all around TE. Our defense starts to find its identity which is getting after the QB from the Edge position and blitzing players like Adams. DB's will become an area of focus in the 2020 season. I'd be fine with most of this. Obviously fine with taking DK as i did the same... I think he is a freak. You got real aggressive at WR with Deebo right after which I am fine with, he looked great senior bowl week, and could be the real deal. Some people might think that is going to heavy at WR, but Robby will probably only be on a one year tender and is easy to get rid of if he takes a step back or does something else dumb this off season. No thanks on Tomlinson, i don't think he is nearly the blocker you might think he is, he got really bad blocking grades.... he got really bad everything grades. I like FA i just think Paradis doesn't make it onto the market, but if he does I am all for it. I went with Morse due to age and the fact that there are rumors of Paradis wanting to stay in denver. The only pick I have any issue with is Ferguson. He got pretty tooled on in senior bowl practices. He obviously put up crazy sack numbers, but it was against lesser comp, and I think he is fairly limited physically. Though for a late 3rd i guess we can take a flier. Thanks for the feedback. Yea, I think DK Metcalf in a trade back scenario makes too much sense. I'm cool with Morse over Paradis. I think the offseason falls a bit flat if we don't get at least 1 of the higher end iOL. I think this is the draft to double dip on receivers. I'll probably hold some excitement until I see combine numbers, but on tape there are a lot of receivers I like. We had two issues with our receiving group in 2018. One was that we didn't have that #1 guy, which I think DK answers. The second was that we didn't have quality depth. The minute Enunwa got hurt, all hell broke lose. We can't afford to have Sam throwing to practice squad guys again. And like you said, if Robby doesn't come back in 2020, we have insurance. I won't skip a bit if we don't bring back Ferguson. I decided to bring him back after reading an article and watching his work on special teams. He pretty much was the spring board to a lot of Andre Roberts success on special teams. Honestly 2014 was the year to double dip.... what did we do? Tripled dipped starting in the 4th round... Jalen Saunders beginning of the 4th..... out of the league almost instantly. Shaq Evans in the mid 4th, out of the league. Enunwa in the 6th..... making 9 mill....... only the Jets. I remember going into that draft really wanting us to go receiver early. Allen Robinson and Odell were the two guys I really liked. Can’t believe we blew that draft. I’m not quiet there yet with this draft. Need to see combine numbers. But I’m optimistic that this draft class is going to produce some really good WRs. DK Metcalf and Marquis Brown to me are going to be stars. Then there’s another half dozen guys who could become solid starters. This draft isn't close to that draft as far as amount of crazy top end WR talent, but it might be as deep overall with quality WR's. I think DK is the guy with the highest ceiling, then probably Harmon, and a who slew of guys in the same bunch. All 3 of those Tackles are reaches at 10 imo. See I disagree Dillard and Taylor are good options to me at that 10-15 range and have the upside to be Solid LT’s at the next level, especially Dillard to me, had a great Senior Bowl and once teams start to look at his tape they’ll see the potential in him. The jets will get a lot more than that with the 3rd round pick. There have been coaching changes and the QB are always reaches. 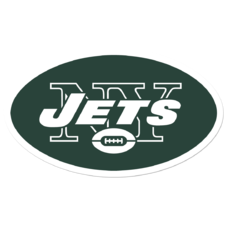 The jets will walk away with at least 2 number 1 (19,20) and 2 2nd round picks (19,20). There are 3 QB that could go in the top 10 depending how Murray grades out. If Murray does really well the number 3 pick is worth A LOT!